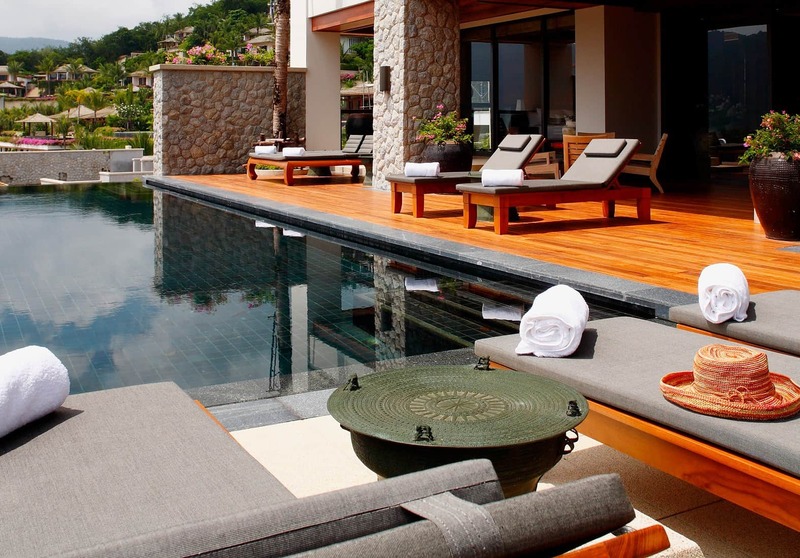 A luxurious new retreat has opened along Phuket’s tony Millionaires Mile. The Andara Resort & Villas Phuket, owned by Hong Kong-based restaurateur Allan Zeman, is nestled amid the hills overlooking Kamala Beach on the island’s Western shore. It affords stunning views of the Andaman Sea. There are 37 residential suites and 26 pool villas. Measuring from 240 to 890 square meters, the suites have from one to four bedrooms. Bathrooms have sunken bathtubs and rain showers. The units also have Western style kitchens and spacious living and dining areas. With from three to six bedrooms, the pool villas measure between 1,200 and 2,500 sqaure metres. Bathrooms have both indoor and outdoor showers and bathtubs. Designed for entertaining, they come with a private housekeeper and Thai chef. Facilities include a restaurant and bar as well as a spa with six single treatment rooms with private showers and bathrooms as well as two rooms for couples, which have Jacuzzis and private steam rooms. There are two private motor yachts for half day, sunset, and overnight cruises. A fast track airport service is also available.